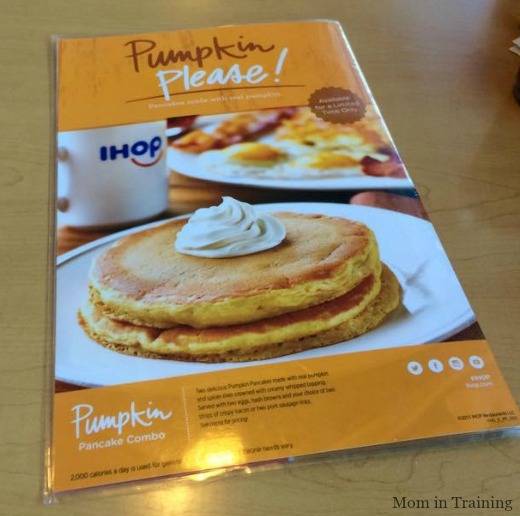 Pumpkin Pancakes, IHOP restaurants’ most popular seasonal item, is now available at participating restaurants throughout the country. Everyone can enjoy this fall-time treat, made with real pumpkin from now until January 3. If you are like me time can get away from you if you don't do something when you first learn about it and then you miss out all together. So we made a trip to IHOP to check them out over the weekend because I didn't want to miss out on them. Each order of IHOP restaurants’ signature pumpkin pancakes, is made with real pumpkin and spices, and comes crowned with creamy whipped topping. You can order pumpkin pancakes alone, or as a combo served with two eggs, hash browns, and meat. As you can see I opted to do it up right and got the big combo with all of the meat options. I like to have a little leftovers so I always order bigger than I will eat. 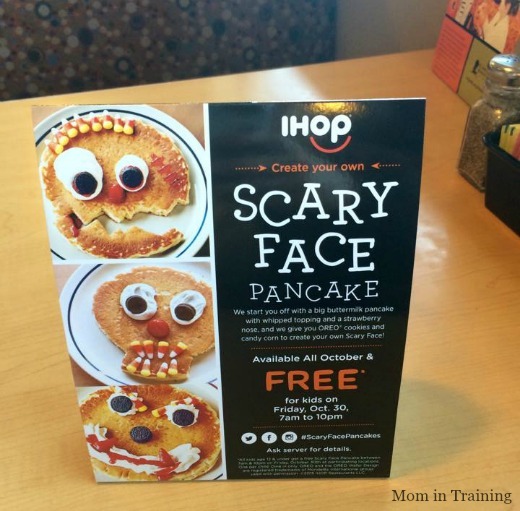 And don't forget to stop in for Scary Face Pancakes available until the end of the month. Plus on Friday, October 30 IHOP is giving kids a special treat by offering its Scary Face pancakes for FREE to children 12 and under from 7 a.m. – 10 p.m. I've eaten at IHOP once. Unfortunately, there's not one located locally. I think I'd like their pumpkin pancakes. 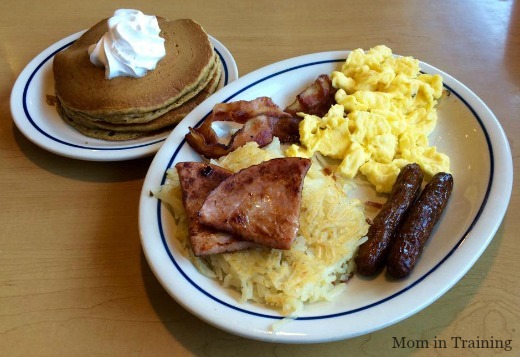 I haven't eaten at a IHOP since I was younger in my age, I do have family that eat there all the time though.